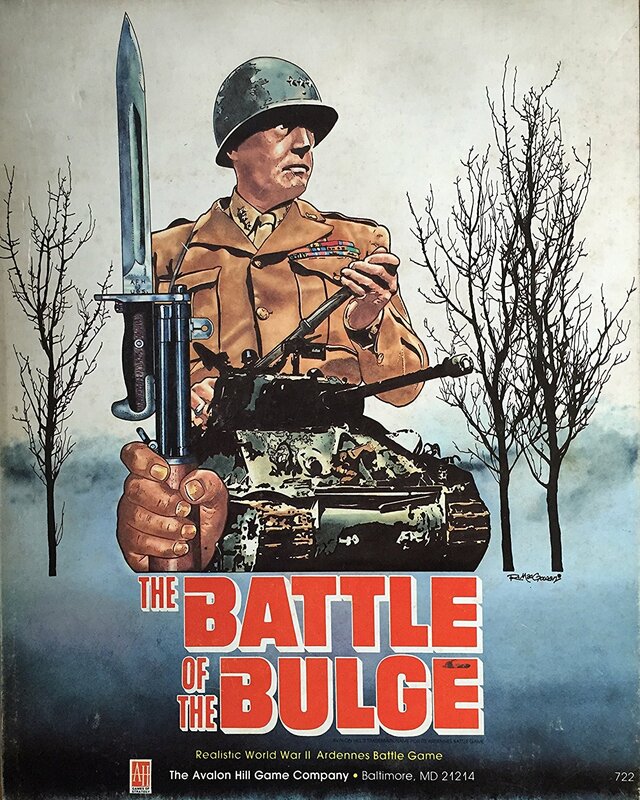 The Germans either win the Battle of t he Bulge early, or they lose. Much of the midgame can easily be the Allies curb-stomping the krauts. This is because the Strategic Bombing that takes place as soon as the weather clears. Once the weather clears up, the Allies will get way more planes, and if the Allied player was able to demolish the supply dumps, the Germans lose all momentum (during SB, German movement is reduced to 2 if they cannot trace to a captured fuel dump). The other option for the Germans would be an incredibly conservative play; if the Germans focus on capturing only a few cities while minimizing their losses, they might be able to win by turtling following the initial offensive. The Blitz optional attack is broken; if it negated the ZOC of the defending unit for the attacking units, it would be great, but with the rules as written, there’s virtually no reason to make a Blitz attack. The Airborne commandos are good for one thing – eliminating a retreating unit you attack the turn it lands. If you don’t time it just right, they’re pretty much wasted. But when it works out, it is Kronk-meme good. The 150’s special ability to move after combat and ignore Allied ZOC is virtually useless (an allied unit will almost always be blocking the main highway and with the ground mud, armored off-road movement is almost nil), but if you can use it to take (or help the LXVII take) Monschau on the first day, it’s not terrible, especially since that will unlock the first significant batch of German reinforcements. Once the Germans solidify their southern flank (take a couple cities, route a few units, and secure Bastogne), abandon the theatre, only leaving behind 3-3 infantry, and send everyone you can north and northwest. It’ll be a long time before Patton arrives, and by the time he does, the Germans will have either already won or it will be too late to matter. The SS Reserve rules may be gamebreaking. Without the I & II SS participating in the morning fighting, there may not be a breakthrough for them to exploit. With the I & II SS participating in the initial blitz, the 99ID, 7AD and 106ID are so hopelessly outgunned that the German player can easily blow a hole in the Allies’ center on turn one that they just can’t recover from. The 15th Army Offensive seems like it would be impossible to launch. It’s not, and when it does, it puts the Allies in such a bad position that it might as well be a victory condition in its own right. Nearly 1/4 of the Allied player’s total units can be put out of play permanently. The penalties on Allied air power pales in comparison to not getting the Ninth Army as reinforcements. Whether or not the German player has a real chance of winning depends very much on whether they can exit units before the British show up. The turn that the British reinforcements arrive, the Germans are caput–there’s no way you’ll hold, much less cross the Meuse, so if you can’t cancel them, you’re probably better off pulling all of your forces back in a full strategic retreat. At this point, you MAY be able to eke out a tactical victory, but in a game as long as this, I don’t know how feasible it is to maintain the necessary footholds for either a Meuse or a Liege victory with the Ninth Army and half a dozen British divisions coming in behind it. There was only an interesting midgame in our second play-thru, in which the Germans made historical westward and slightly better than historical northward progress; in this case, there was still lots of skirmishing and counter-attacks as Allied reinforcements trickled in to exploit possible holes in a more-or-less consolidated German line. In the 3rd playthru, where the Germans made significantly better than historical progress in general, there was virtually no mid-game, because the Allies managed to trap and destroy so many divisions. In the first and final playthru, there was no midgame at all–in the first case because the Germans were halted before weather cleared, and in the final because the Germans had destroyed the Allies before the weather cleared. I think the Germans could win a Meuse victory if they cancel the British reinforcements but somehow fail to achieve an Antwerp victory. I do not think the Germans can win anything but a marginal tactical victory if the British reinforcements are not cancelled. That I’ve devoted so much time, both playing and in recounting, on The Battle of the Bulge should give you some indication of my feelings for this game. It’s fantastic. If you’re at all a fan of old World War II games, you owe it to yourself to check this one out.